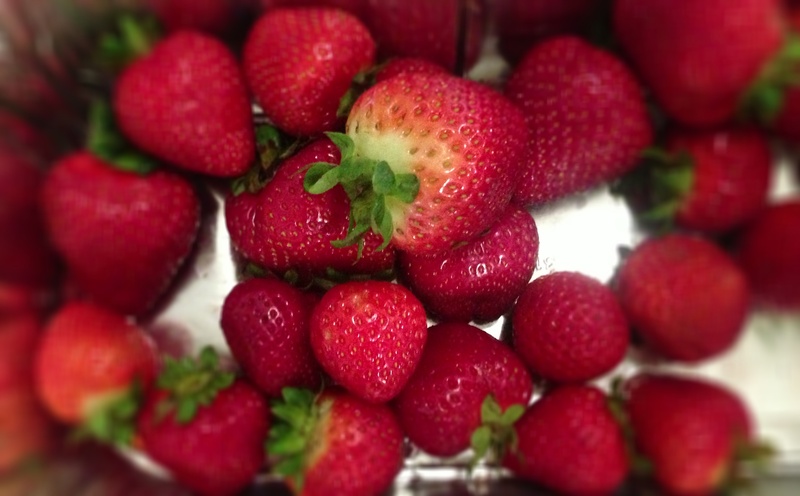 Find strawberries at the peak of ripeness. 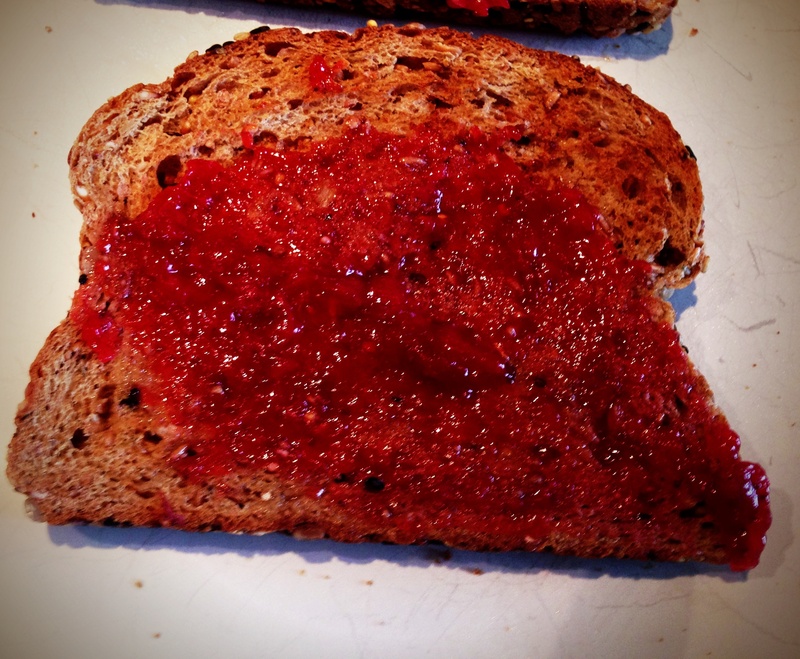 Avoid fruit that is overly ripe as the jam won’t taste good. Wash and slice the berries. 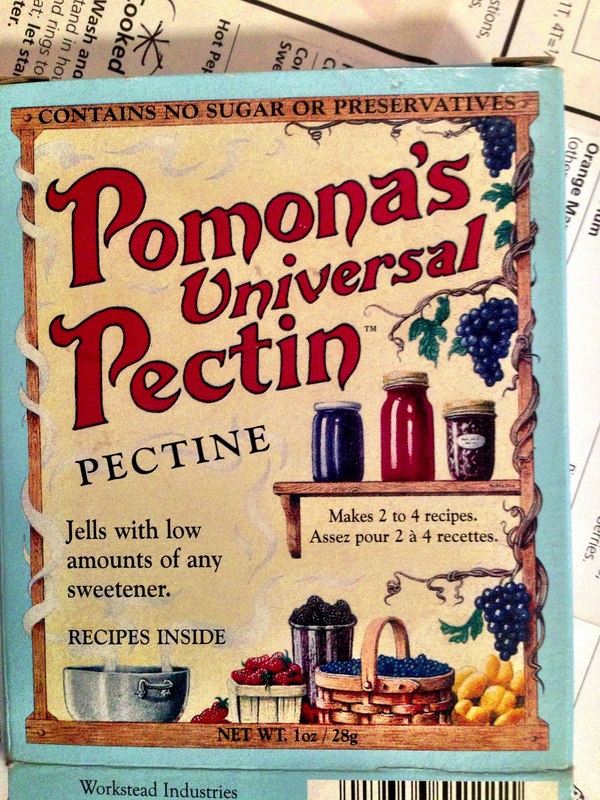 I like to use Pomona Pectin as you can have a fresher, healthier jam using much less sugar. 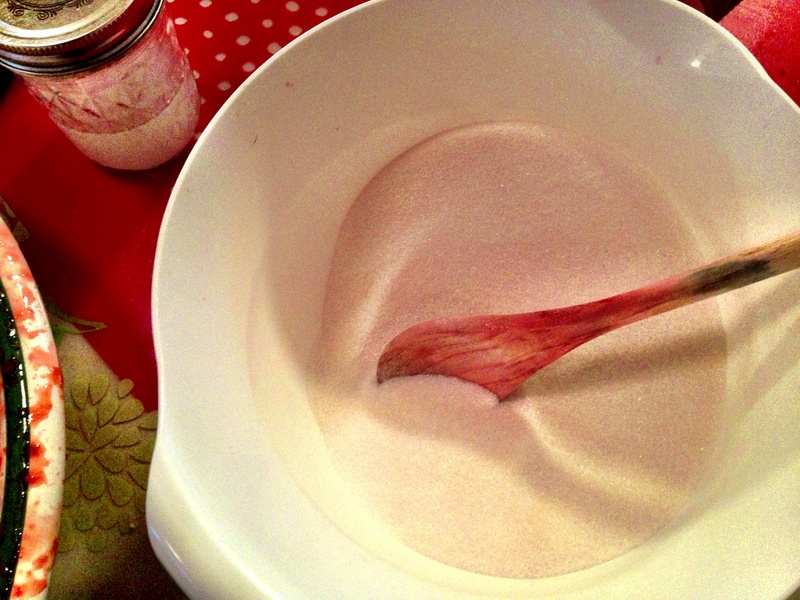 Mix up calcium water then add pectin powder to your sugar. 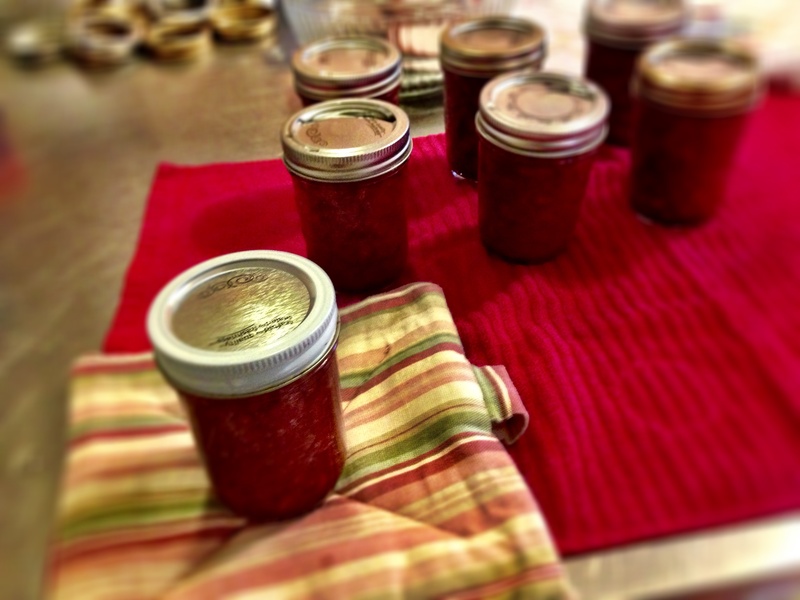 I used four cups berries and two cups sugar for this batch. 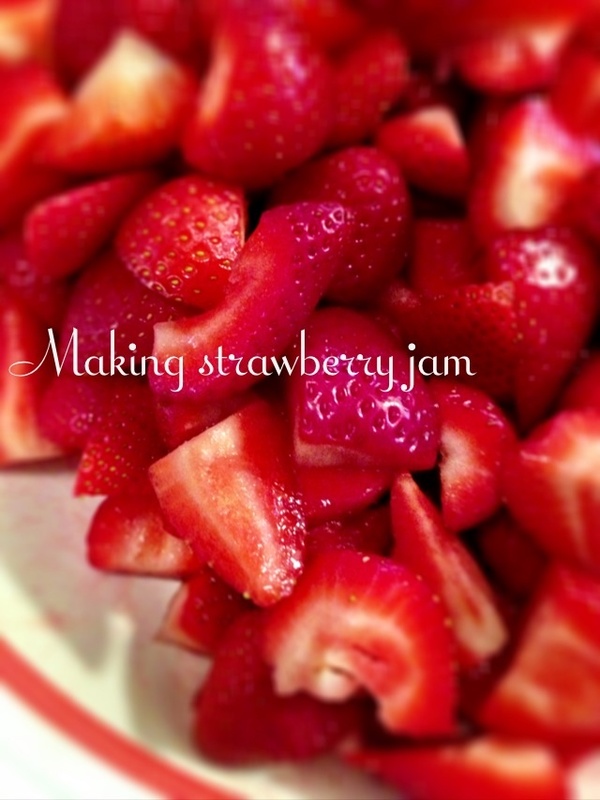 Bring mashed strawberries with calcium water to a boil then add sugar and pectin. Stir thoroughly and bring back to a boil. 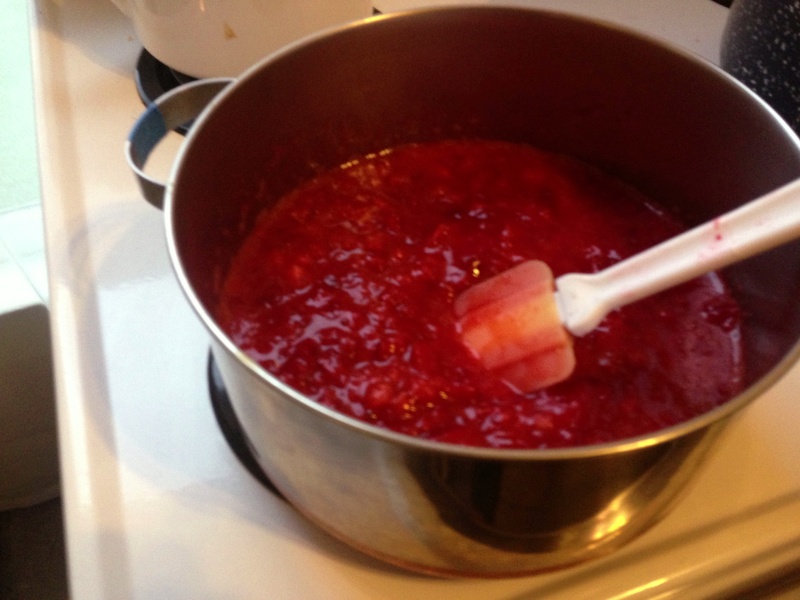 Boil one minute then put in jar. Put the filled jars in a water bath canner and boil for 10 minutes. Check seals once jars have cooled.